A MOOTED ‘BEST Popular Film’ category for the Oscars has been delayed as it needs more study, the Academy has said. The move comes after the category came under much criticism, with people questioning why it was needed and what it meant for film. The Academy recognized that implementing any new award nine months into the year creates challenges for films that have already been released. The Board of Governors continues to be actively engaged in discussions, and will examine and seek additional input regarding this category. Academy CEO Dawn Hudson commented: “There has been a wide range of reactions to the introduction of a new award, and we recognise the need for further discussion with our members. Changes to the upcoming 91st Oscars (2019) include restructuring and shortening the length of the telecast to three hours. There are 24 award categories, with six to eight of them due to be presented live, in the Dolby Theatre, during commercial breaks. The winning moments will then be edited and aired later in the broadcast. Selected categories will be rotated each year, said the Academy. 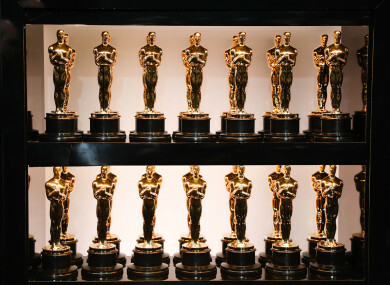 The date of the 92nd Oscars telecast has been moved to Sunday, February 9, 2020, from the previously announced February 23. The 91st Oscars will be held on Sunday 24 February 2019, at the Dolby Theatre in Hollywood. Email “Oscars to postpone controversial 'Best Popular Film' category as it needs more study”. Feedback on “Oscars to postpone controversial 'Best Popular Film' category as it needs more study”.